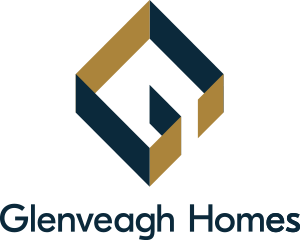 At Glenveagh Homes, we concentrate on creating homes that make living easy. We use high-quality and innovative materials and techniques to deliver modern, future-proof housing that is energy efficient, easy and cost-effective to run, thoughtfully laid out, aesthetically pleasing and built well. Our aim with Taylor Hill was to build a beautiful development for families at all stages of life. Balbriggan is known for its sense of community and its facilities for families, and we aspired to create a development that would add another layer to the town. Taylor Hill homes are extra-large, spacious, comfortable and well laid out. An abundance of green space, both public and private, along with a children’s playground within the development itself, makes Taylor Hill an exciting prospect for families to own a home. Established in 2002 and based in Maynooth, Co Kildare, Doran Cray is a progressive architectural practice that focuses on providing a quality architectural and design service, with an emphasis on modern construction technology. We have been involved in many state projects and we are currently in the process of delivering many large-scale suburban schemes of family housing. We were approached to assist with the completion of the development at Taylor Hill, to redesign the proposed new house types to offer spacious, free-flowing, comfortable and functional homes, while maintaining the existing character and spirit of the approved design. This was achieved by re-planning the interior layout and in some instances, extending the dwellings to provide additional floor area. The results are elegant house designs that endeavour to offer more to the homeowner. House & Garden Furnishings has been successfully transforming properties into beautifully designed homes in Ireland for over ten years. With a dedicated design studio, each home is carefully considered and uniquely furnished. Our brief at Taylor Hill in Balbriggan was to appeal to a wide range of buyers, from first-time purchasers to growing families to downsizers looking for that ease of living in a modern home. We took inspiration from the unique location of Balbriggan, a commuter seaside town with a rich history in textile manufacturing. Our final design will convey that sense of easy seaside living in a modern context.